Ladies and gentlemen: once again the moment has come! The votes have been counted and the results have been checked. The results for the Top Provider Poll 2014-Q3 are here! First of all, let me thank you all for voting! This poll is not possible without our appreciated members who takes the time to vote and share their opinions about the providers they love. Just like the last three times, people had five votes to divide. They could give them all to one provider, divide them amongst providers, or give five providers one vote. This has proven to be a popular system for all members. This is, however, the last poll as we know it now. It has commercialized into another ad spot for providers and that’s not what the poll is for. Changes are up ahead to make the poll more interesting and more refreshing. More about that in the final notes. On to the results. By continued popular demand, I have listed the top 10 right here! I have picked offers for the top 3 providers from their website; numbers 4 to 10 are mentioned without an offer. Oktay has also been around for a while. 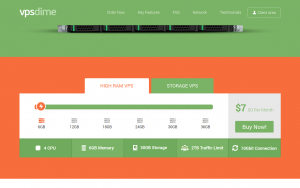 He launched Winity.io last year, where he sells affordable Hyper-V based Windows VPS. But he is best known for Backupsy, his brand that gives you a lot of disk space for very little dollars. VPSDime is also unique with they big-bang-for-buck offers. Recently, they started offering free backups and offers with a 10Gbps uplink, within LEB pricing! Minimum sign-up credit purchase of €30 required. VAT included. Skylar has been working hard to make Crissic popular and he has succeeded! He’s been in the upper part of the poll for the third time in a row now. He is known for his competitive offers and his hard work. He owns all his hardware and equipment in his rack in Jacksonville, Florida, but also his IP addresses. Recently Skylar announced Crissic’s expansion to Los Angeles, which deserves our congratulations! 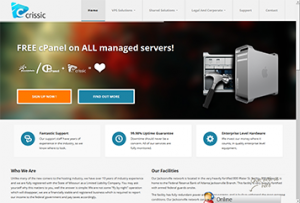 MyCustomHosting is know for their cheap but resource-packed KVM servers in Canada. It’s a pleasure to welcome them to the top 10! Phil has been working hard to build MyCustomHosting as a successful business and has hit a few bumps down the road, mainly because of the challenges OVH brings with regards to networking. He has conquered those challenges, though, and brought his business to the next level. 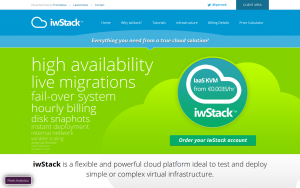 So, if you need a proper KVM in North America/Canada, MyCustomHosting is a good choice! BuyVM has been riding the top 10 solidly for the past three polls! Another established LowEndProvider, BuyVM, comes in seventh! 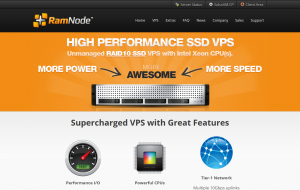 BuyVM has recently initiated an upgrade of their servers, giving everybody free upgrades to SSD space. On top of that, inbound traffic is now free as well as nightly backups. That is on top of the ongoing improvements they are doing to their in-house panel, which is said to be getting a custom-coded billing part as well. Last but not least, they’re branching out to Luxembourg, becoming one of the few, or only even, LEB providers in that country…! 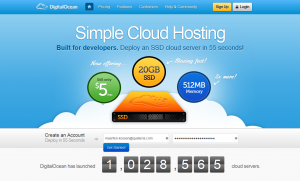 DigitalOcean is known for their rapid-to-deploy boxes and their pay-as-you-use model. With an SSD KVM VPS for just $5/month in the USA, The Netherlands, the UK, or Singapore, they do indeed have competitive offers! Various templates are available in order for you to rapidly deploy a specific application, all within their custom panel. Anthony launched LowEndSpirit last year: a real LowEndBox for just €3.00/year is just awesome!! LowEndSpirit is currently available in six locations world-wide, with Japan and Australia having been added recently (Australia is provided by Ransom IT). 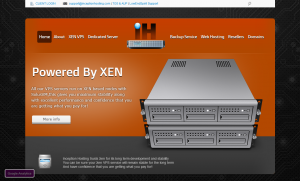 Inception Hosting itself has been running quite solid as well, with Xen-PV servers in 4 locations world-wide! On top of that, Anthony now offers OpenVZ boxes in Miami as well. Catalyst Host is a first-timer in the Top Provider Poll, for which I would like to extend my congratulations! We all know Catalyst Host very well from LowEndTalk. It was started by friends Ryan and Jarland, with Jarland taking a step back next year and Ryan getting assistance from Don. Catalyst Host is known for their transparency and sane offers. As I mentioned in the introduction, we’ll be making some changes to make the poll more interesting. I’m not going to share all details yet; some ideas still need to be ironed out. What I can say, though, is that there’s going to be more than one “top” next time, and the poll will be held twice a year… For more details, keep an eye on LowEndBox and LowEndTalk for the next two months! ramnode,prometeus,buyvm,digitaolocean, keep up the good work ! LOL you messaged me on skype to say Inception Hosting was 88th and I believed you hahaha. my firend, you are subscribed to top 10. Wow! That’s impressive video! You guys are professionalists. Please tell that girl – she’s hot and kiss (or hug at least) her from me. ;-) Cheers! I’ve been a happy customer of Crissic and VPSDime. Congrats, guys! Good to see MCH made it on the list, definitely well deserved. Thanks everyone for the votes! Always happy to see that our clients are happy. Congratz to everyone in the top 10 this time around! Crissic customer of more than a year. I am really glad to see you’re on the top list. Never been disappointed with the service. Always the top service while making it affordable to small customers with a tight budget to use resources. Good job Skylar. Keep it up. sometime dear best brand not cheepest i say ty to the good job hosts!!! Sorry to hear that. I have no problems on my 64 MB VPS with them since more than year. Iniz dissapear of the list, possibly cant manage many customers, i have a vps with they and have a problem and their support answer “we can not help you with your problem”. Congratulations to all top providers. wow, ramnode, $5 for 2cores? I’m first time, coming from gce. I want to try! My previous comment was removed by ” moderators” . Thank you for the votes, we have an unfair advantage as our main business is not in the LEB/LET area, the people which do fight on that front mainly have our admiration and congratulations. Well I am amazed that BuyVM is anywhere in this poll. I have had 3 VPSs with them and moved all but one to other providers because of their poor service. My only VPS with them now has been off for 24+ hours and the support ticket was never responded to after 24 hours. They are to be avoided. Did you get suspended for bandwidth overages maybe? Did you forget to pay your invoice? We place fine considering we don’t market on these two sites. LV had some network issues earlier in the year but after replacing the router we had things have been solid. There is the ticket 714987, never replied to after 48 hours. The server came up for a few hours during the night (I am in Australia) and then failed again. As I said this is not my first poor experience with BlueVM. I just have been to lazy to shift this last site away, but this last experience will get me to pull my finger out. I have used their service and i think francisco know business. He will never ever make that type of action to the client. I know they are good and reliable host. You mistook BuyVM for BlueVM. Two drastically different companies. Without a doubt, Ramnode wins every single time. Everyone else? A month or two into service, the provider starts acting up. Hell, in some cases, less than a day into it, things go south, and the provider refuses to fix them. Ramnode? Reliably stable for months on end. I’m really happy with RamNode! I tried Crissic, NodeServ, Green Value Host, Virtono, Mach9, Host1Plus and ServersAnDomains.com. But there is nothing equal to this company. Been with Inception for a couple of years. Can’t rate them highly enough- if you value good, rapid, friendly support, they can’t be beaten. BuyVM provides decent technical service, but their customer service can be rude and even downright hostile, depending on who you get. If a consistently smooth and pleasant experience is important, look elsewhere. on my question what rules they have about termination they didn’t show me any links and all i’ve got – is rude conversation with someone, John, who used phrases like this “We are not interested in changing your behaviour, that is a task for your parents”, or “We will continue to provide you the service which is paid for, but would appreciate if you do not renew”. I paid them almost 40euros each month during more than a year or two and was very gentle during that last conversation… so, it is up to you, using this service or not. i’ve lost my website, were abused and now i am quitting. That’s very close to the experience I had with them, Alex. The only real difference is that I was a customer longer and got robbed for much more when they terminated my service without TOS violation. They are a very unprofessional outfit, rude, condescending and childish, indeed. Maybe fine for kids that like that sort of thing, but definitely a bad choice for serious adults. The worst part is that they’re liars and thieves too. They don’t even have a published SLA! No guarantee of service and a major financial risk. Stay far, far away folks. 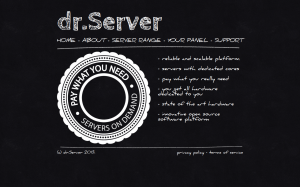 What hosting provider are you referring to? “this hosting provider” is not very descriptive. Thanks for the comments! Was going to order with them, now I will stay away after hearing that. Quite seriously, I wish some of the people on here could be sued for defamation. 90% of the time it’s their fault for violating the TOS then they have a superiority complex and blame the host for rightfully terminating their services. VPS hosts are not charities or babysitting services and should be treated as such (true, on the other hand there are basement kiddie hosts, but those are much easier to weed out).